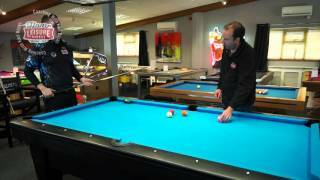 Here at Home Leisure Direct we have a great variety of tutorials for both English and American Pool. We have created a range of videos to show you all the tips and tricks you'll need to get you playing at the top of your game in no time. 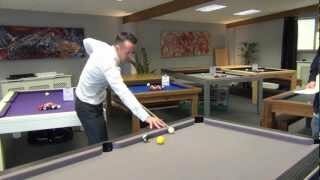 For English Pool we called on Gareth Potts, World 8 Ball Pool Champion and friend of Home Leisure Direct, to help us record video tips and training to improve your game from the very beginning. To get started, we recommend our videos on Holding the Cue, Cue Action and Address & Stance; these will get you started correctly and prevent the formation of bad habits. Gareth talks through every point of the game and explains why each is important, and these videos will prove helpful to more advanced players as well as novices. 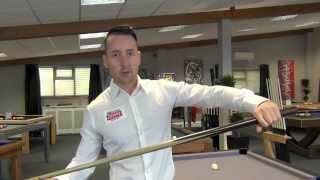 Once you've mastered the basics, Gareth can show you important techniques such as breaking correctly - an essential skill for anyone - and how becoming consistent at playing pool can make a huge difference in a player's level of success. 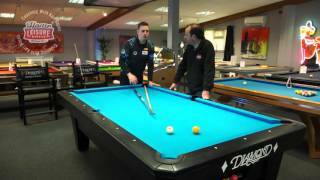 If you think you're ready for more advanced tutorials, we also have videos covering particular types of shot, such as top spin, back spin and rail shots. 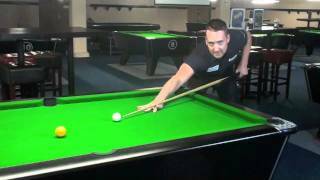 With Gareth's help you'll be able to strike the cue ball more effectively on every shot. 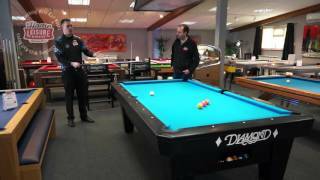 Finally, we explore the tactics of the entire game, with videos on anticipating where the cue ball will end up, and planning your order of shots. 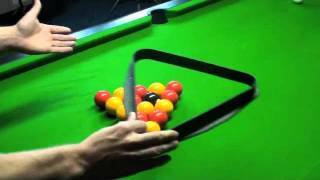 This comprehensive guide to English Pool will improve the playing standard of any pool player. 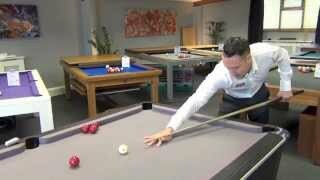 We can't promise you'll be World 8 Ball Champion like Gareth, but we're certain you can learn from our videos. 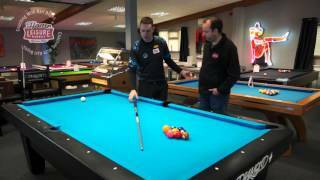 For American Pool we recorded a series of videos with Karl Boyes, four-time winner of the Mosconi Cup and a truly world-class player. 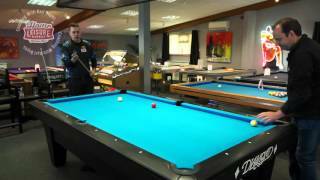 In some of our basic videos, Karl shows you how to stand, how to hold the cue and the correct way to achieve the right cue action. These videos are aimed at beginners, but will also help intermediate players who are looking to improve their fundamentals. Once a technique has been practised incorrectly it becomes a habit, and we recommend breaking those habits as soon as possible. After mastering the basics, we have videos that will show you correct technique for all aspects of the game, including the best way to bridge for different types of shots, using rests, and using doubles for better positioning and potting. Finally, we also show you how to master advanced shots such as the stun and back spin, which will improve your tactical game and allow you to position the balls for greater advantage. Karl covers everything you will need to elevate your American Pool game, whatever level you're starting at. If you want to get some personal training with Gareth, we offer a range of courses for half- or full-day sessions. Please click here for further details and booking options. 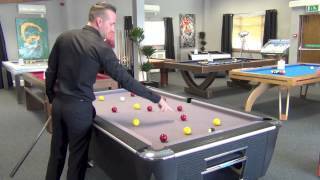 If you're looking for a pool table on which to practise your newly-developed skills, we have a huge range and can advise you fully. 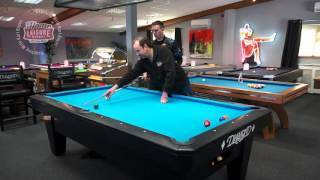 Our award-winning team have a wealth of experience and really know their stuff when it comes to both pool and billiard tables. 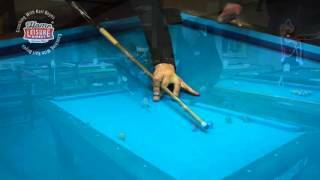 With years of experience in pool, we can hold your hand as much or as little as you like. If you are unsure about cloth colours or wood finishes, we can send you samples out free of charge to help you make that decision stress free. If you are concerned about your space, size of the table or whether or not a table will fit in your space, then you can either download any of our “Will It Fit?” guides or call the team who will happily help you over the phone. Of course, the very best option is to visit our Showroom to see our incredible range, try them out for yourself and talk to our expert staff in person. We believe visiting us will be the most fun showroom visit you will ever have. Whether you're looking for a pool table, a pool table that converts into a dining table or one of our other fantastic games room products, we look forward to welcoming you soon with a freshly brewed cup of coffee and a truly enjoyable experience. Take our Showroom Tour to see what awaits you. 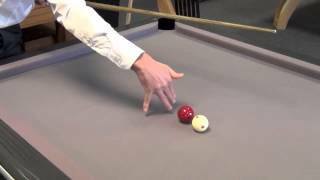 Have Serious Fun improving your pool game. 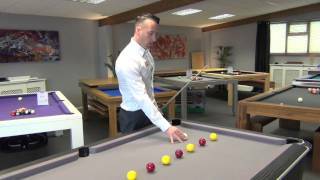 If you need any help with playing pool, purchasing a pool table or one of our other services, please call us on 01454 413636 or 0800 622 6464, or you can email us sales@homeleisuredirect.com, or why not visit our amazing showrooms - here's How to Find Us. How to Play Doubles Karl demonstrates how to double a shot off a cushion. How to Hold a Cue Karl demonstrates the correct way to hold a cue for effective shot making. How to Stand Karl shows the correct way to stand at the table for good shot making. How to Bridge Karl demonstrates how to bridge to achieve different spin shots. Cue Action and Timing Karl demonstrates the the proper arm action players should use to deliver a shot. Choosing a Cue and Equipment Karl explains the importance of having the correct equipment for playing 9-Ball. How to use a Pool Rest Karl demonstrates how to use a pool rest to make shots further down the table. 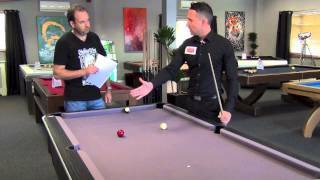 9-Ball Racks Explained Karl highlights the different kinds of 9-ball racks that players can use. 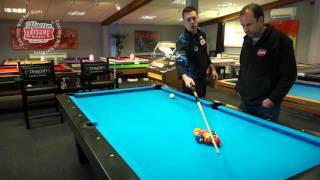 How to Break Karl demonstrates the most effective way to break a 9-ball rack. How to Do a Jump Shot Karl explains the equipment and technique required to perform a jump shot. How to Do a Stun Shot Karl explains how to perform a stun shot. 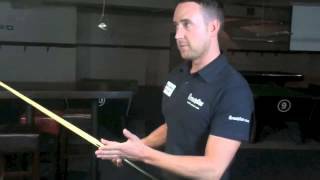 How to Play With Back Spin Karl explains the benefits of, and how to play a back spin shot. How to Play With Top Spin Karl explains how to play a shot with top spin. 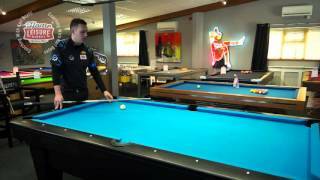 How to Play With Side Spin Karl shows the methods needed to achieve a shot with side spin. 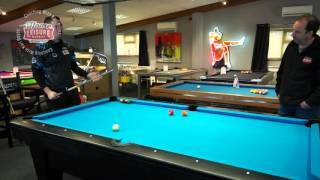 How to become consistent at playing pool? 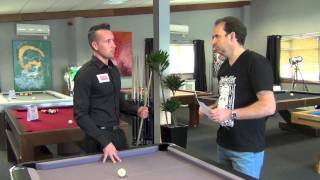 Gareth explains the importance of, and how to be, consistent at playing pool. 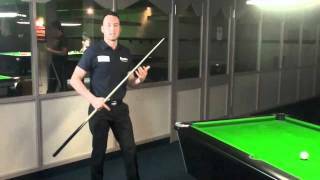 How to Play Pool: Address & Stance Gareth explains how to use the right stance and address the shot correctly. How to Play Pool: Back Spin Gareth explains how to play a shot with back spin. 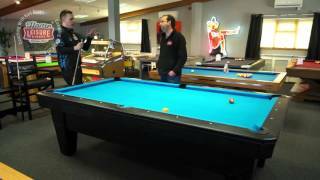 How to Play Pool: Cue Action Gareth explains how to perfect your cue action. How to Play Pool: Holding the Cue Gareth explains how to hold a pool cue properly. 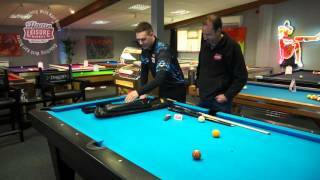 How to Play Pool: How to Bridge Gareth explains how to bridge properly, changing the height depending upon the shot. How to Play Pool: Lining Up Side Spin Shots Gareth explains how to line up side spin shots correctly. How to Play Pool: Off-Set Plant Gareth explains how to play an off-set plant shot. How to Play Pool: Planning Order of Shots Gareth explains how to plan the order of shots. 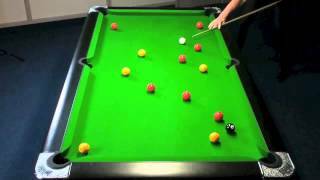 How to Play Pool: Positional Play Gareth explains how to perfect your positional play. How to Play Pool: Rail Shots Gareth explains how to play your rail shots better. How to Play Pool: Reverse Side Spin Gareth explains how to play shots with reverse side spin. How to Play Pool: Shots Tight to the Cushion Gareth explains how to play shots when the cue ball is tight up to the cushion. 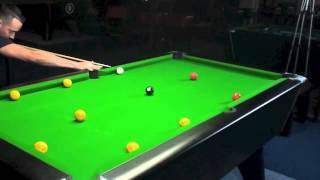 How to Play Pool: The Break Gareth explains how to break effectively. 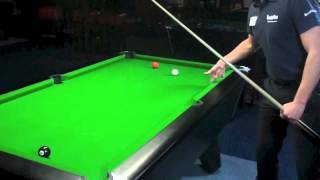 How to Play Pool: Top Spin Gareth explains how to play a shot with top spin. 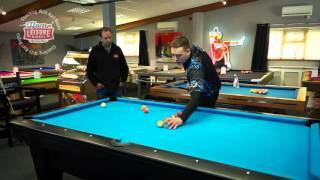 Where's the Cue Ball Going? 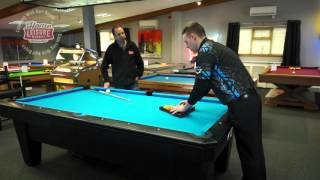 Gareth explains how to anticipate where the cue ball will end up.